When target king salmon in the Great Lakes cut bait has become a valuable tool. Cut bait gives you the advantage of running natural bait with the action of a lure. A piece of cut bait gives you the action and the smell of a dying baitfish because it is a real baitfish. These salmon are eating live bait daily. We can’t use live bait. Running cut bait is the next best thing. Brining baits is no secret. It’s been the hot thing to do out West for decades and is finally catching on in the Great Lakes. When using bait it’s important to have the highest quality cut bait you can make or buy. That’s why I brine my baits in Fire Brine. The brining process helps preserve your bait, makes the scales shine better, makes the bait more durable and helps it last longer. 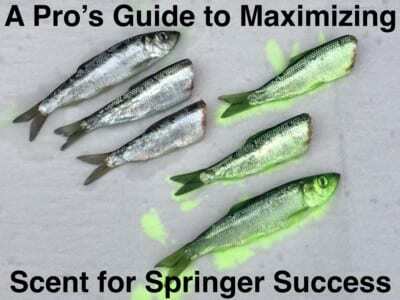 For the angler who only fishes weekends brining baits saves money. Mega Money. Brine keeps bait from spoiling between trips. When you brine bait and keep it cool the bait lasts weeks rather than spoiling. Natural is still the dominant color in the Great Lakes, but that’s not because it’s the best. Everyone is used to natural looking bait so they use Natural Fire Brine. 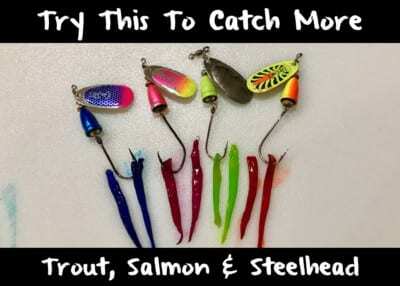 Many anglers are hesitant to try new colors. However, in the last few years Great Lakes anglers have done a lot of experimentation with colored brines. We’ve found that under different conditions many other colors are as effective or more effective than natural colored baits. For example, Blue Fire Brine works best early in the morning or on low light days, whereas chartreuse works best in the bright sun. Some anglers still make their own brines. However, Fire Brine makes brining fool proof. 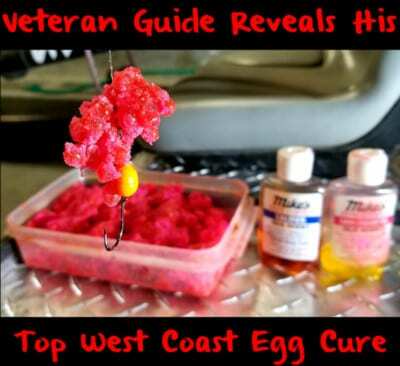 All you have to do is get a watertight container, add your bait and add your brine. Personally, I let my bait sit 72 hours because I want the brine to saturate the bait, but that’s overkill. Letting them sit a day is enough. Once I brine them, I vacuum seal them. Reason being, the bait last longer. It gives me the ability to use ‘x’ amount of bait at a time and not waste any. Great Lakes anglers have two options when it comes to bait. You can buy whole bait in a package or pre-cut bait strips. Whole bait is more readily available and more affordable. Pre-cut strips are expensive, up to $2 per strip. When dealing with whole bait it needs to be brined or it will spoil. Another advantage to buying whole bait (herring, sardines, anchovies, etc) is you are going to get a better-looking piece of bait. It’ll have more lifelike scales and look much better. There’s not much to talk about because the process really is that simple, but let’s discuss how to brine and prepare your bait. A waterproof container is imperative. In a pinch you can use something as simple as a Ziploc, but containers are more useful. Place bait in container and add brine. Let it soak. I’ve had success soaking it overnight, but prefer to let it soak a few days. Once the soak is done the bait is ready to fish. In the Great Lakes the most common way to run bait is in a bait head. The bait head allows you to tune the roll of the bait by adjusting the fin of the head. The roll is important when running bait. To run properly place the cut bait into the head. There will be pieces that don’t fit perfectly in the head. Use scissors to trim the bait so it fits in the head. 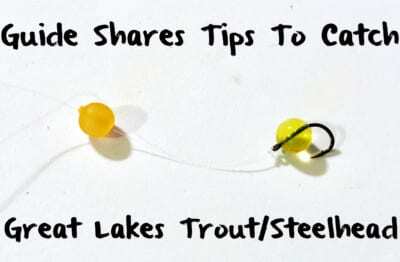 The image below shows the bait fitting into the head properly. Once the bait is in the head take a toothpick and push it through the hole in bait head. This is going to hold our bait in place. Trim toothpick flush with bait head. The last step is hook placement. I like my hook to be even with the end of the meat of the bait – not the actual tail. You are ready to fish. Check the roll boat side before you deploy your bait. The bait should corkscrew in the water. It’s hard to put into words how to ensure the bait rolls. The best way to describe it is you should get one to one and a half rotations per second. Editor’s Note: Andy Bliss operates Chasin Tail Adventures. 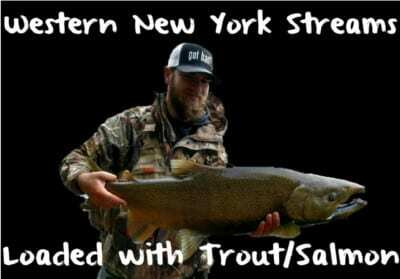 For more info on his guided Lake Ontario salmon trips please visit https://www.facebook.com/chasintailadv.